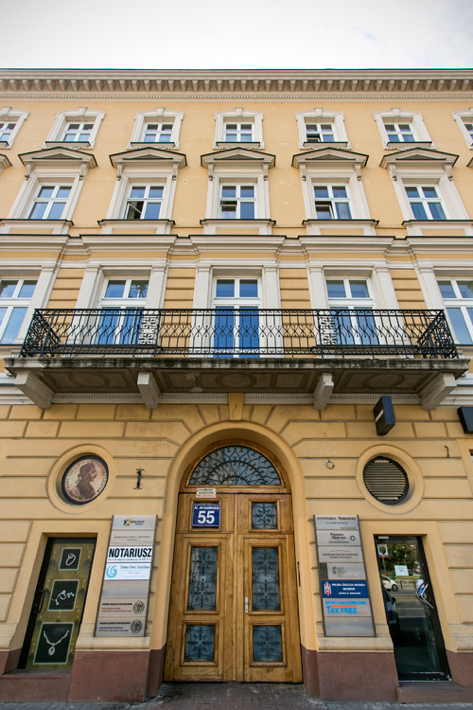 The Jakubisiak & Pałtynowicz Legal Counsels’ Office was established in 1998. Since then, we have provided legal assistance to several hundred Clients and helped perform many successful transactions. It would not have been possible without trusted Clients on the one hand and our staff’s involvement and professional attitude on the other. The Office’s legal practice concentrates on broadly understood commercial law. We cooperate on a regular basis with entrepreneurs but we also support natural persons in all cases not related to economic activity and business. At present we are providing legal assistance to several dozen economic entities, most of which conduct their activity as commercial law companies. We believe that fundamental understanding of our Clients’ needs, our expert legal advice, knowledge and experience help our Law Office reach further and make our Clients feel secure in any legal matter. Since it was established, the Jakubisiak & Pałtynowicz Legal Counsels’ Office has striven to provide its Clients with top quality legal services in the scope of broadly understood commercial law. Clients call on our Law Office for full range expert advice concerning any business activities and for assistance in the realization of individual projects or transactions. We perform our services for entities employing several hundred employees. We participate in developing internal labour law regulations, always aiming to find the most suitable solutions for the benefit of our Clients. In case of any disputes, we represent our Clients in judicial proceedings. We provide ongoing legal services related to companies, corporations and partnerships. In addition we offer our legal assistance during transactions of merger, takeover or transformation of companies. We have participated in numerous transactions regarding the sale of shares, enterprises or parts thereof. We also specialize in due diligence. The Office has specialised in this field of law since its very beginning. We cooperate with Clients both at the stage of establishing general terms and conditions of insurance contracts and also at the stage of implementation during liquidation proceedings. In case of disputes and controversies, we also participate in court proceedings. We offer our services also to insurance agents and brokers. We have good practice in providing legal services related to the sale or purchase of real property. We perform audit of legal status of the real property, participate in negotiations between the parties, prepare all types of agreements and understandings and finally organize notarial services. We possess special experience in providing assistance in case of the acquisition of real property encumbered with mortgage debts and subject to enforcement proceedings. Currently, the Office is representing its Clients in a few thousand judicial proceedings, first of all in civil law field. We possess suitable IT tools which allow us to report to our Clients on current basis the scope and stage of proceedings for particular cases. We are a professional and dynamic team which combines more than 20 years of experience with knowledge, zeal and skills in applying laws to business and life. We are aiming at delivering top quality services and raising our professional qualifications. We work for the benefit of our Clients learning from them a business approach to the application of provisions of laws. Graduate of Warsaw University. In 1997 he obtained the insurance broker qualifications and in 1998 was registered as a Legal Counsel at the Regional Warsaw Chamber of Legal Counsels. In years 1993-1994 he worked at the PZU S.A. 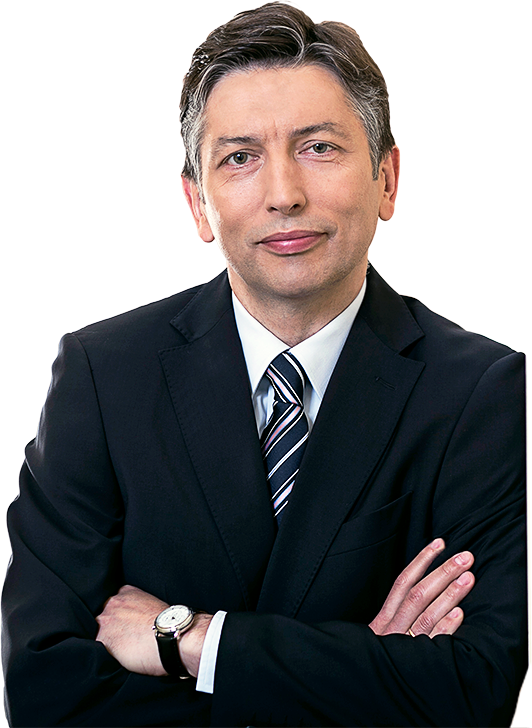 Regional Branch in Warsaw, in years 1994-1996 he worked as a legal expert at the TUiR WARTA SA headquarters, in years 1996-1998 as the Director of the Third Party Liability Insurance Department at Protektor SA, the Insurance Brokers Corporation. In 1998 he co-established the Jakubisiak & Pałtynowicz Law Office, which specialises in providing legal assistance to companies and the property insurance law. "The Past and the Presence of the Sleeping Partnership"
"Merger of Commercial Law Companies"
"Legal Construction of the Claim for Interest in the Polish Law"
"Master Agreement in Business Relations"
"Civil Law Characteristics of the Leasing Agreement"
"The Warrant as an Instrument of the Commodity Exchange and the Warehouse"
We are interested in starting cooperation with students and graduates of the faculty of law as well as legal counsel trainees and legal counsels. We expect offers from individuals with vast knowledge, who are responsible, capable of working individually and demonstrating team spirit and have good interpersonal skills. Do you have any questions or do you need legal help? © 2019 Kancelaria Radców Prawnych Jakubisiak i Pałtynowicz. Wszystkie prawa zastrzeżone.